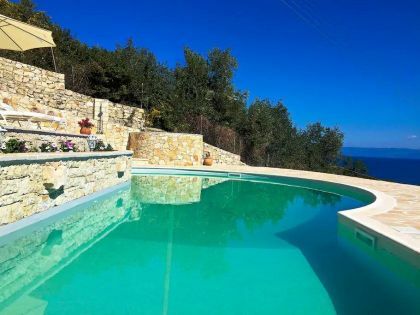 Villas for rent in Paxoi | Villas in Greece for rent. Holiday rentals in Greece. The beautiful island of Paxoi lies in the Ionian sea, just south of Corfu. All east coast beaches on Paxos are shingle and some are mixed with sand. All are gently shelving and therefore ideal for children. All beaches are refreshingly natural – there are no sun loungers or beach sellers except for Monodendri beach (between Loggos and Lakka) where there are two tavernas, two bars and windsurfing hire.